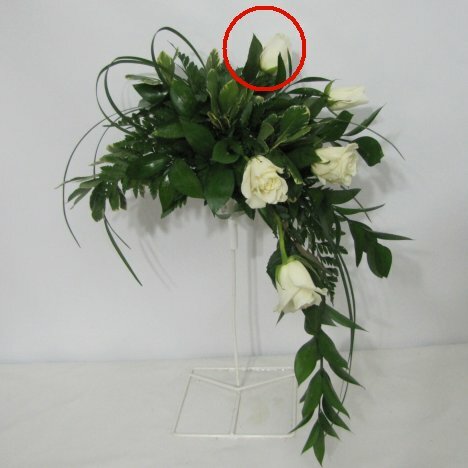 The white roses are a great contrast the the dark color of the greenery. 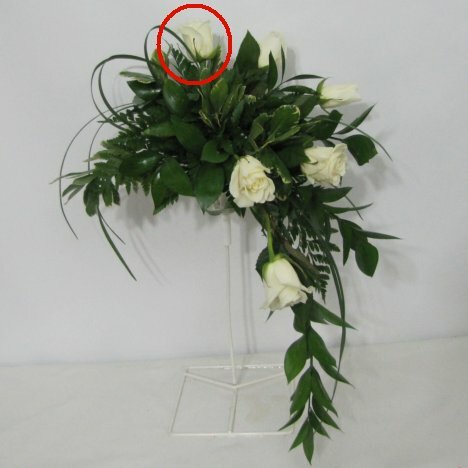 Now I'm beginning to tilt the flowers upward at the top of the bouquet. 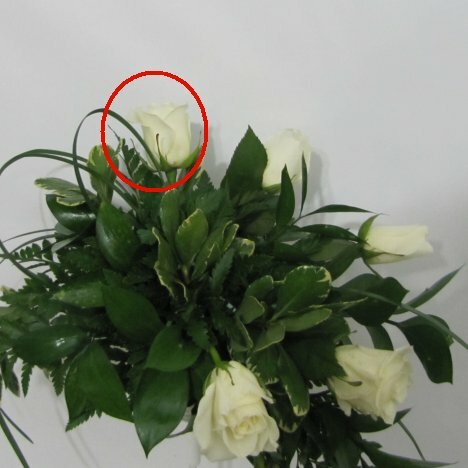 Same for this rose, except I changed the direction that the rose is facing so it tilts more to the left. 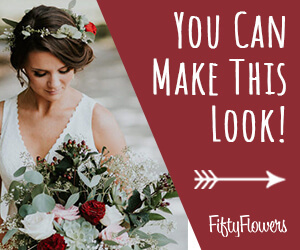 The flowers should all spray outwards in all directions from the natural center of the bridal bouquet. 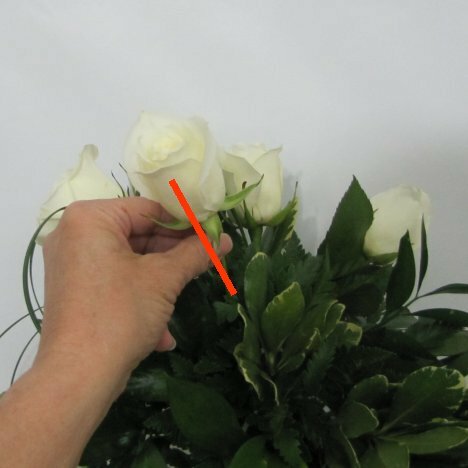 See how each head of each rose tilts in a different direction, fanning out from the center. 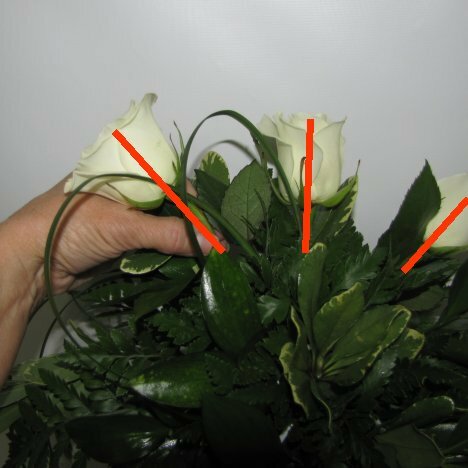 As I get closer to the center, this rose is going to start tilting forward, instead of backwards as the outer roses did.